The pancreas is a glandular organ of the body. There are pancreatic hormones secreted in the pancreas. The organ is divided into the head, body and a tail. It has both digestive exocrine and hormone-producing endocrine glands. The glands give your pancreas a loose and a lumpy structure that is unique. The digestive exocrine cells are about 95% and the endocrine cells are only less than five percent. It is in the upper abdomen and is approximately six inches long, lies between the small bowel and stomach. As soon as the food is absorbed and broken down to body sugar. The pancreas releases digestive hormones to neutralize the nutrients level in blood. The pancreas is tasked with two functions in your body. The first helps you in digestion and is called the Exocrine Process. The second helps to maintain and balance the body’s blood sugar (glucose). It is called the Endocrine Process. The pancreas is therefore said to have both an endocrine and exocrine functions in your body. To achieve the functions it has to carry out, the pancreas secretes hormones. What Hormones Are Secreted By The Pancreas? Hormones that are secreted by the pancreas help in the exocrine and endocrine functions of the pancreas. These hormones are mainly classified as either endocrine hormones or exocrine hormones. 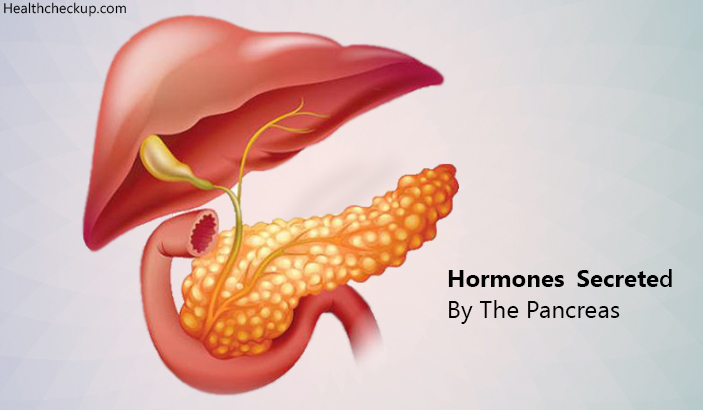 The hormones are released by the pancreas directly into the blood whenever the need arises. VIP or Vasoactive Intestinal Peptide Hormone: It aids you in the control of water absorption and secretion from the intestines by indeed stimulating the islets of Langerhans to release salt and water into the intestine. Glucagon: It helps in maintaining normal blood sugar by working in tandem with the insulin although in a different direction. Gastrin Hormone: It helps in digestion as well as stimulating various cells in the stomach in order to produce acid that aids in digestion. Somatostatin Hormone: It is of use whenever the levels of other pancreatic hormones such as the glucagon or the insulin get too high. This hormone is indeed secreted in order to maintain a balance of the salt and sugar in the blood. Insulin secreted by the pancreas aids in regulating blood sugar by allowing many of the blood cells to absorb and use blood sugar hence dropping the blood sugar levels. The exocrine role of the pancreas is to purely help your body to digest food particles. The exocrine glands of the pancreas contain Acinar and Duct tissues. Whenever partially digested food particles that are known as Chyme enter the duodenum. The pancreas secretes a pancreatic juice to aid in the digestion. This pancreatic juice is a mixture of different enzymes, bicarbonates, various body salts, and water. The Secretin hormone helps in secreting the pancreatic juice. The bicarbonate ions present in the pancreatic juice help in neutralizing the stomach acid as the small intestines cannot withstand strong acids. This indeed enables the proper environment for the functioning of pancreatic enzymes. The Cholecystokinin hormone is a hormone that is secreted by cells in the duodenum. This mainly occurs as counter fats and proteins in the Chyme. Generally, this provides for digestion of food particles into components that are available for absorption by the epithelium. Pancreatic Amylase: This helps Cholecystokinin hormone in breaking down of large polysaccharides like glycogen and starch into smaller blood sugar like glucose or the maltose. Pancreatic Lipase: This is a lipid-digestive hormone that helps to convert large triglyceride particles into Monoglyceride and fatty acid molecules. This is possible by the release of bile by gallbladder that emulsifies the body fats. Carboxypeptidase and Chymotrypsin: These enzymes are protein digesting enzymes that convert protein into amino acids. This helps you in the absorption of amino acids by the intestines. There are enzymes secreted by the pancreas that is responsible for aiding to digest nucleic acids. Ribonuclease enzymes convert the RNA molecules into various components such as the cytosine, uracil, guanine, nitrogenous bases adenine and the sugar ribose. The pancreas hormones functions are controlled by both the endocrine system and the autonomic nervous system. This helps the body to deal with various situations such as emergencies, stress or when exercising. The main disorder of the pancreas is the diabetes condition. A failure in pancreas hormones function is referred to medically as pancreatitis. Symptoms of pancreatitis include bloating, back pain or loss of appetite. You could also be experiencing Jaundice and nausea. 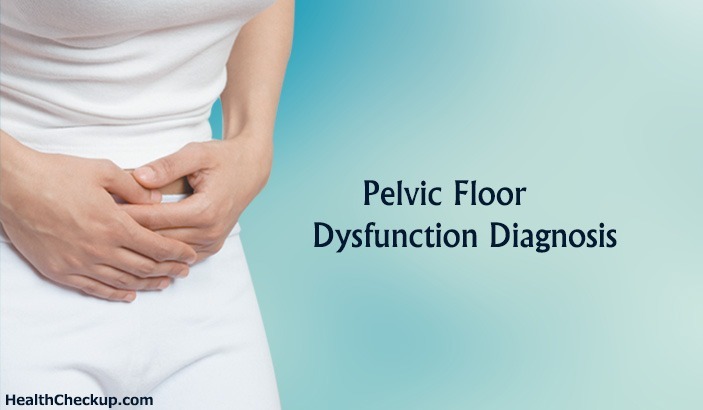 Diagnosis and treatment of pancreatic malfunction are best done in consultation with your healthcare provider. What Causes Nosebleeds While Sleeping? What Blood Types Are Compatible?